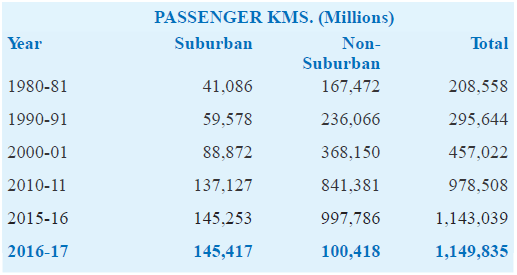 During fiscal year 2016-17, a total of 8,116 million ‘originating’ passengers generated 1,150 billion passenger kms. Earnings from passenger traffic was INR 462.80 billion and from freight INR 1,020.28 billion. 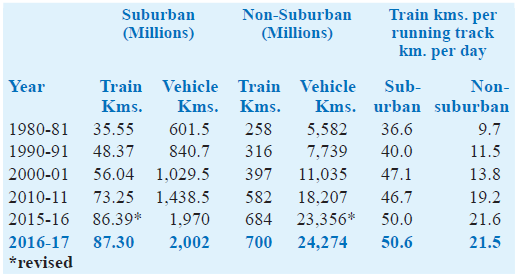 In 2016-17 the passenger kms. rose by 451% over those in 1980-81. Passenger revenue has been steadily increasing, though it formed only about 28% of the total earnings of the Railways in 2016-17.